The general president of the Indian Science Congress Association (INSA) said Dalai Lama had been invited, but said he would not be able to attend it. Dalai Lama is listed as one of the chief guests on the website of the Indian Science Congress. New Delhi: Tibetan spiritual leader Dalai Lama will not attend the Indian Science Congress which opens in Manipur later this week, a conference organiser said on Monday. The Nobel Laureate's decision not to attend the congress assumes significance in view of the cancellation of a recent event in New Delhi where the Dalai Lama was expected to be present. The event, which was slated to have been held at Rajghat to commemorate the Buddhist monk's 60th year in exile in India, was later moved to Dharamshala in Himachal Pradesh, and will now be held at the end of the month. The Indian Science Congress is an annual science event inaugurated by the prime minister. The Indian Science Congress opens in Manipur later this week. The general president of the Indian Science Congress Association (INSA), Achyuta Samanta, said the Tibetan leader had been invited to the conference, but said he would not be able to attend it. "We were also told that he had visited Manipur two months ago," Mr Samanta said. 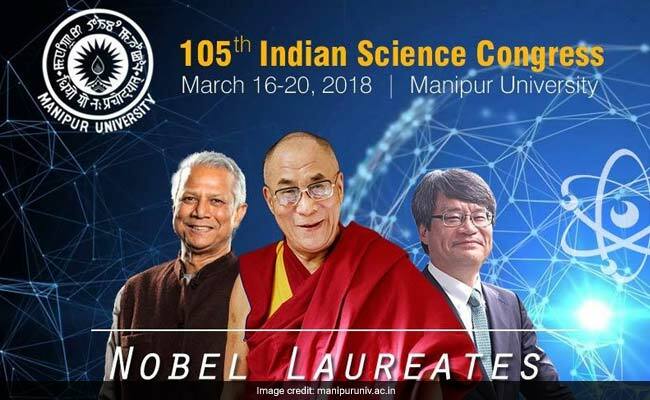 The Indian Science Congress website, however, still lists the Dalai Lama as one of the chief guests among other Nobel laureates expected to be present. Mr Samanta said nearly ten Nobel Prize winners had earlier confirmed their participation in the congress but most dropped out after the event was postponed. The ISC, which is held usually in the first week of January, was postponed in view of a perceived law and order problem at its earlier venue, the Central University in Hyderabad. Muhammad Yunus, the founder of Grameen Bank in Bangladesh, would be the only Nobel Laureate at the event, Mr Samanta said. The development also comes in the backdrop of a media report about an Indian government directive to senior functionaries at the Centre and in the states to skip events being organised by Tibetans. Earlier this month, the Indian Express had reported that following a communication by Foreign Secretary Vijay Gokhale, Cabinet Secretary PK Sinha had sent out a note to senior functionaries of the Central and state governments asking them to avoid events being organised by Tibetans. Following the report, the Foreign Ministry had said the Dalai Lama was a revered religious leader and deeply respected by the people of India, and added that there was no change in that position. "Government of India's position on His Holiness the Dalai Lama is clear and consistent. He is a revered religious leader and is deeply respected by the people of India. There is no change in that position," Foreign Ministry Spokesperson Raveesh Kumar had said.